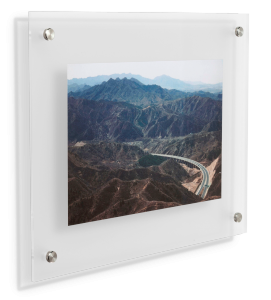 Perspex prints, supplied with aluminium stand-offs for wall mounting. 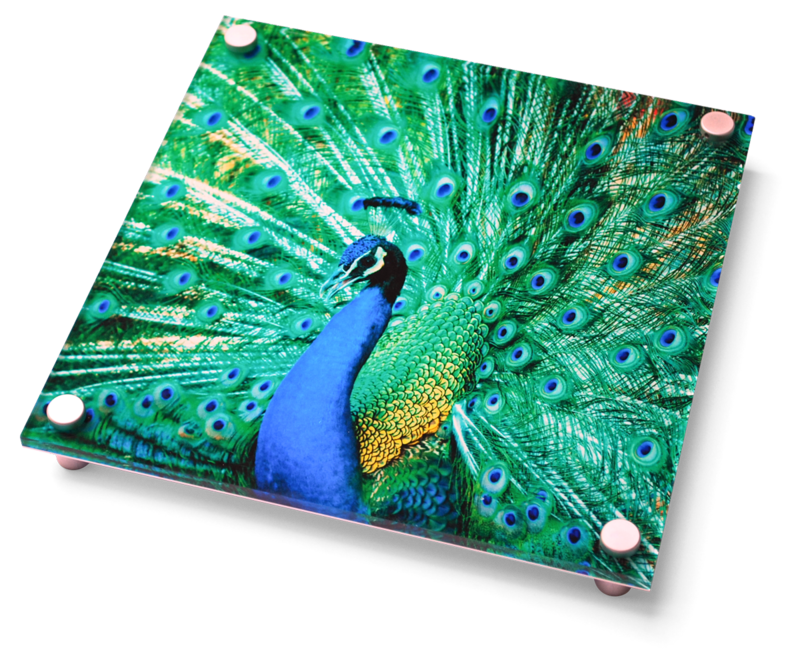 Wall-mounted acrylic art is a revolutionary new medium through which to decorate your home. 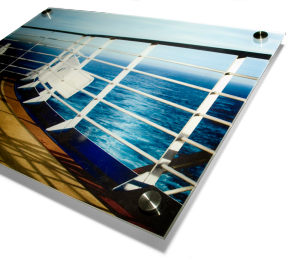 Traditionally the design would printed directly onto the perspex sheet, however we use a special optically clear film and lamination process which gives a more vibrant and hard-wearing finish. 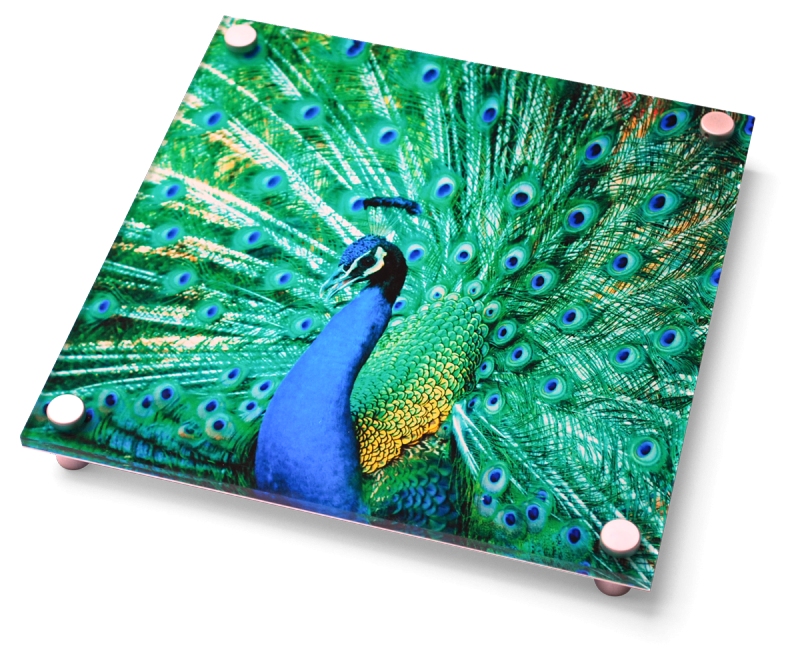 Our specially-designed mountings look stylish and professional whilst remaining easy to fit. 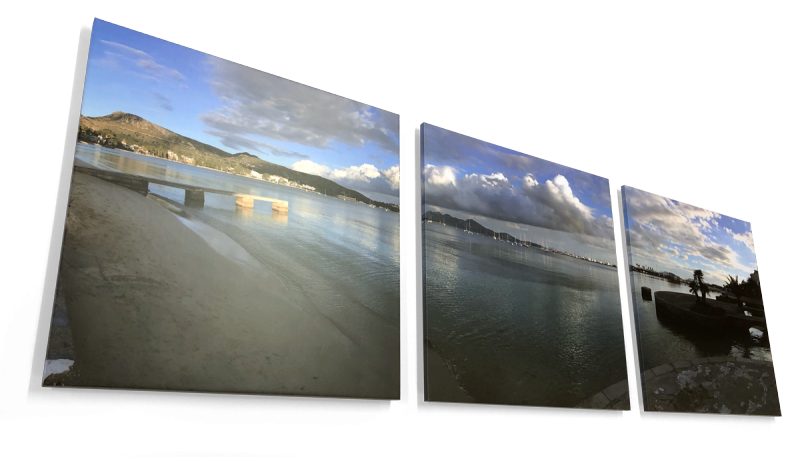 You can choose whether to have your image continuing to the polished edge of the sheet, or to leave a clear border giving the illusion of floating in glass. This was usually an extremely expensive product reserved for businesses looking for a premium indoor display. However, through research and development, this exciting new product is available for your home at an affordable price. 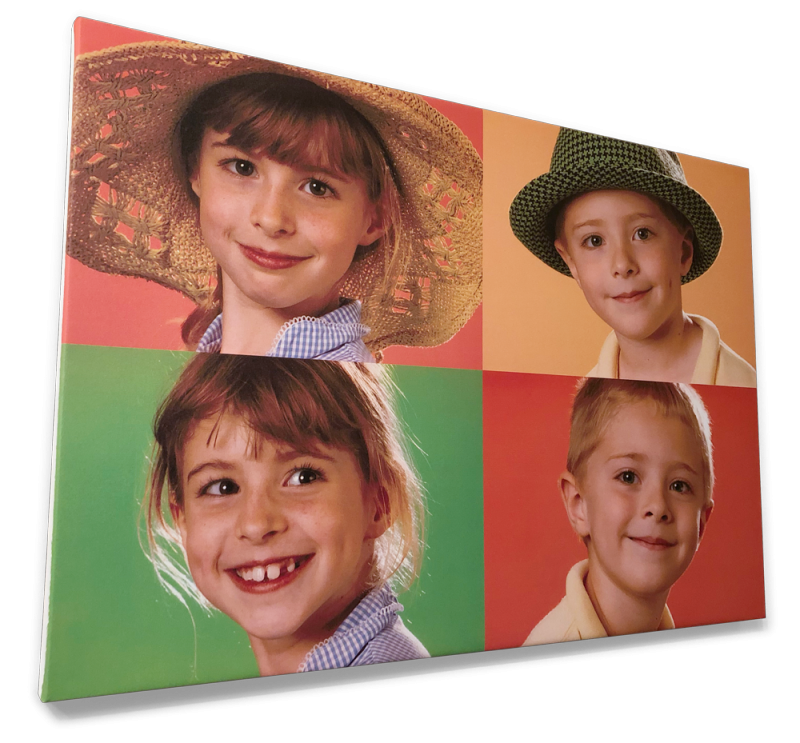 Foam block prints, supplied with 10mm thick sticky blocks for wall mounting.